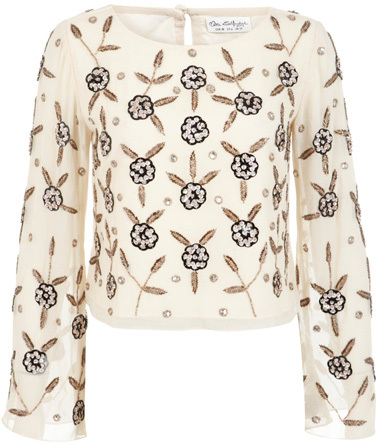 For this dress-up-and-go-out time of year, I like the idea of subbing in an elegant, embellished top for a fancy frock. I'm dying all over this!! Sold!